Eddie Bannon was one of the country’s best cross country and road runners winning the National Cross-Country Championship four times as a Senior including three-in-a-row from 1952 to 1954 inclusive. In addition there were seven appearances in the World Cross-Country Championships between 1951 and 1956. Eddie was also a class act on the roads with ten runs in the Edinburgh to Glasgow relay, turning in eight fastest stage times, two second fastest and setting two stage records in the process. His career as an athlete was relatively short spanning only twelve years but at his best he was probably one of the country’s best ever cross-country runners. Information for this profile has mainly come from ‘The Scots Athlete’, from the Centenary history of Shettleston Harriers by John Cairney and from Colin Shields’ centenary history of the SCCU, ‘Whatever the Weather’ with more statistical information from Ron Morrison’s website. We’ll go over some of that ground again in more detail but it should be pointed out that ‘Gartocher Road’ refers to the Shettleston Harriers HQ which was on the road of that name. 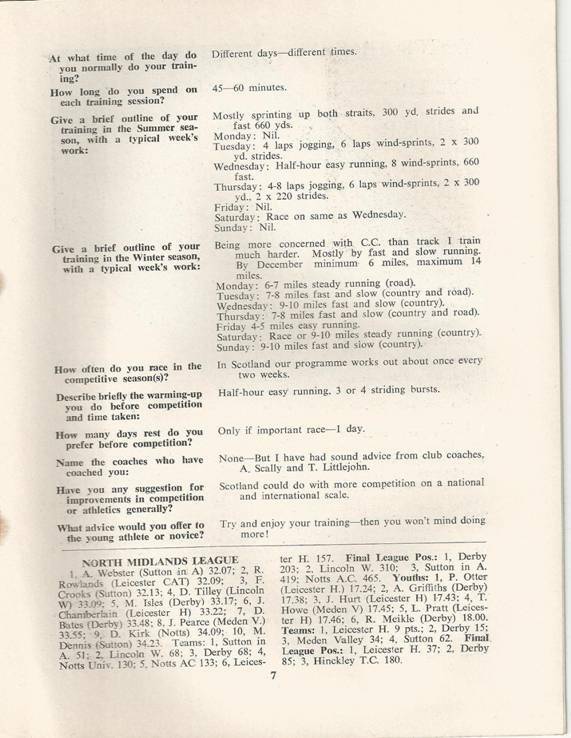 He first appears in the columns of ‘The Scots Athlete’ in February 1949 when he was second in the Midland District Junior 7 Miles Championship. The next season started as usual with the McAndrew four man road relays at Scotstoun and he ran on the second stage for the Shettleston Harriers team and ran the second stage for the second placed quartet. Two weeks later he again ran second for the club in the Dundee Kingsway relay where the squad was again second. There had been two Edinburgh to Glasgow relay in 1949 and the young Eddie Bannon had run in them both. In April he ran on the eighth stage, maintained Shettleston Harriers in first place and recorded the fastest time of the day for the stage. His reward was to get the same stage when it was held in November and again he maintained first place and again he had the fastest time on the leg. On 7th October 1950 he ran the third stage of the McAndrew in the Shettleston team which finished second and then in the Midlands relay a fortnight afterwards he ran fourth in the Shettleston team. In November 1950, still a Junior he was switched to the fifth stage and took over in the lead, handed over in the lead and recorded the fastest time of the day. On 2nd December he was third to Tom Tracey of Springburn, one of the very best in the country at the time and team-mate Ben Bickerton. 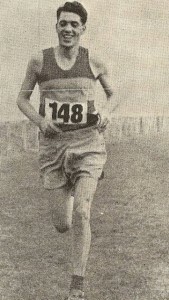 Bickerton was ahead of him again when he won the Inter-Counties at Stirling and Bannon was third with another Shettleston Harrier squashed between them – Clark Wallace was second. In the Midlands however he was second to Tom Tracey – only 12 seconds down this time. Then it was the Junior National. Third in 1950, he won it in 1951 by 36 seconds and then went on to be fourth in a first class run in the English National championships. If his running in Scotland was noteworthy before this, then this was the race that drew him to the notice of the wider athletics public – after going for the win when nearing the finish, he dropped back to an agonising fourth place. For the ‘Scots Athlete’ report on the race click here The National victory was enough to get him selected for the International Championships as part of the Senior team and he was a scoring runner when he finished in forty ninth place. The ‘Scots Athlete’ in November ranked him ninth in the Mile in their annual track rankings with the comment ‘I believe that Bannon would improve if he did less cross-country racing.’ Maybe forgivable so early in his career, it would become apparent as time went past that he was not nearly as interested in track as in road and especially country. 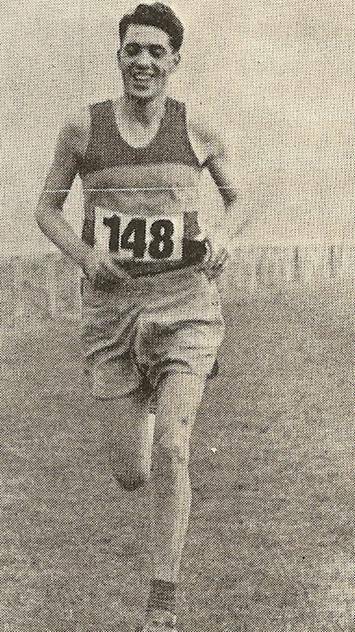 At the start of season 1951 – 52, he ran on the third stage for Shettleston in the McAndrew Relays on 6th October. On 3rd November in the Midland District Relays Eddie ran the fourth stage and brought the club from fourth to second in the fastest time of the day. In the Edinburgh to Glasgow on 17th November he ran the vital sixth stage and moved the club from third to second with the fastest lap of the day. In the preview of the National Championships, published in the same issue of the magazine, Emmet Farrell said, “Scotland’s big three are undoubtedly Eddie Bannon, Andy Forbes and Tom Tracey, and of these Bannon is the bright particular star and on present form must be a strong favourite to win our National Cross-Country title. Up to the present he has shown devastating speed, and in last year’s brilliant fourth in the English National demonstrated that he has the stamina to go with it. 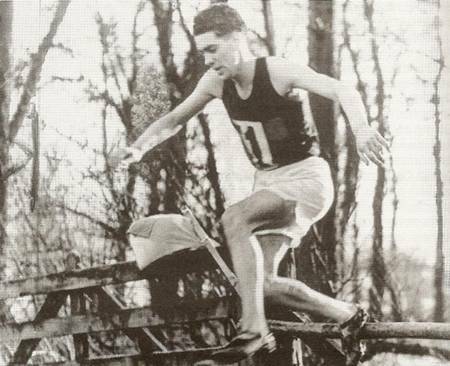 He showed his ability yet again when on 2nd February 1952, he ‘jumped early into the lead and was never challenged’ when he won the Midlands District Championship at Lenzie. He duly won the National Championship for the first time and went to the International where he finished fourteenth and first Scot. On to the 1952 – 53 season and he had second fastest in the McAndrew Relay when running the fourth stage for his club. In the Midlands relays on 1st November he was duelling with Andy Forbes on the third stage and the report read: “Bannon was at his thrilling best and reversed a 33 second deficit to an exact half minute advantage” – he also had the fastest time by 26 seconds. He was again asked to race the sixth stage of the Edinburgh to Glasgow and brought the team from third to second and had second quickest time behind Ian Binnie which encouraged Emmet Farrell to remark that “perhaps the finest intrinsic running was that of Ian Binnie’s 33:37 and Eddie Bannon’s 33:40 on the long 7 miles stage.” In the Inter-Counties Cross-Country Championship in mid-December Eddie won in 35:03 (the second man home recorded 36:20!) On 31st January at the Midlands Championships he was again the winner in 30:53 with second runner in 31:28. Going in to the National at Hamilton he was clearly top dog. “I take Eddie Bannon of Shettleston to retain the Scottish Cross-Country Championship with some confidence. Up here in Scotland his class is such that he could win even with a lapse in form. But he is running strongly and confidently and should prove too strong for his field. Eddie is not likely to run in the English Championships this year, preferring to save himself for the Scottish and International races.” In the event he won the National on 28th February by 47 seconds from Andy Forbes. Then came the big one – the International. The International was held in 1953 in Paris and Eddie Bannon was fourth. Emmet Farrell waxed lyrical, under the headline “Bannon in World Class”, he said: “Eddie Bannon ran his greatest race to date and his superb fourth place surely places him among the elite of the great cross-country runners of the world. Running a beautifully judged race, he was prominent throughout and actually led for a spell over the last lap. I feel that Bannon, like Flockhart, is essentially a cross-country type and wonder just what would happen over a real country trail. Could he have won? This however is purely an academic question. Next year the International will be at Birmingham over, we assume, a fair cross-country test and a fit Bannon must have an obvious chance. Incidentally the Shettleston man will shortly receive an invitation to compete next February in the annual International test over 5 miles at Hannut, Belgium.” This ended the cross-country season and it was on to the track. The by now normal remarks about how well Eddie could do ‘if only…’ appeared in the ‘Scots Athlete’: ” Eddie Bannon – Scotland’s hero of the International Cross-Country Championship – has the class to be a real live contender and a probable winner of either the three or six miles or both but his heart does not seem to be set on the track as it is on the country. Still if he runs in either he must be reckoned with.” But there was no Eddie Bannon in the track championships that year. Scotland had to wait until winter 1953 – 54 to see him back in action. He had the fastest lap in the Midlands Cross Country championship helping his club to first place and then in the Edinburgh to Glasgow in November 1953 he kept his club in second place when he ran the sixth stage and again had the second fastest time to Ian Binnie. He did not turn out in the District Championships in February 1954 and the reason was hinted at in Emmet Farrell’s comments in the February 1954 issue of the ‘Scots Athlete’. “A hat trick for Bannon? ….”The main doubt and talking point is the champion’s toe injury which has been troubling him and retarded his training but now that he is back in full harness I find it difficult to oppose him.” Came the championships and Bannon was again the victor in 50:19 from Tom Tracey in 50:43. In the International, he was fourteenth to be first Scot and second Briton to finish. In summer 1954 he was mentioned as a contender for the Three Miles as follows “Other likely candidates include Eddie Bannon, our cross-country champion.” The message was getting through that he was not a committed track runner although he did run and record good times: for summer 1954 he was third in the Three Miles rankings with 14:21.2 and fifth in the Two Miles with 9:21.0. Season 1954 – 55 was another where he ran superbly well and there was another collection of team medals. They started with the McAndrew Relays with Eddie running first and Joe McGhee on the last stage. The County Relays and the Midland Districts also provided team golds and Eddie had fastest time in the latter. In November in the E-G he ran on Stage 2 and brought the team from third to first, with not only the fastest time on the day but also a stage record. Second in the District Championships he led the winning team home and in the National on 26th February, he was seventh. 7th which had him selected to run in the International where he was 35th. In summer 1955 he ran in the SAAA Three Miles and was second to Binnie in 14:33.6 to 14:19.6 before getting ready for the cross-country season. On the 1st October he was only in the Shettleston B team for the McAndrew but by the Lanarkshire Relays he was lead off man for the winning team . He was fastest overall in the Midland District Relay when he ran the third stage for the winning team. In the Edinburgh to Glasgow in November, he ran on the long leg (the Sixth) where hw as fastest of the day, beating Binnie by only one second. He was however only third in the Midlands Championships proper behind John McLaren and Andy Brown. But came the National and Eddie Bannon came good with another first place in 46:55 to Andy Brown’s 47:06 in second place. Again a member of the Scottish team he was thirty third in the International held in Belfast. That summer he was not track ranked at all for any event. 1956 – 1957 began with the McAndrews where he was again in the second team but less than a month later he had the fifth fastest time in the Midland District relay at Stepps. In the Edinburgh to Glasgow Relay in November he ran the seventh stage where he was fastest by over 90 seconds and he proceeded to the National where he was ‘only’ sixth which Emmet Farrell saw as a pedestrian performance – going on to say that this was of course relative only to his own past running: many would regard such a placing a a high spot. He did however go to the International in 1957 which was to be his last run in this event and finished thirty seventh. Not only was the 1957 his final run in the International but he disappeared from the National scene until 1960 when he was fifteenth in the National in March and then in the Edinburgh to Glasgow he was on Stage 7 where he maintained the first place that he was given and ran the fastest time of the day for that stage. There were to be no more appearances as an athlete for Eddie Bannon after this last demonstration of his superb talent: no racing in 1958 or 1959 and then the fastest time on his leg of the E-G! Amazing. The following AW questionnaire replies are reproduced thanks to John MacKay finding them and sending them on to me.